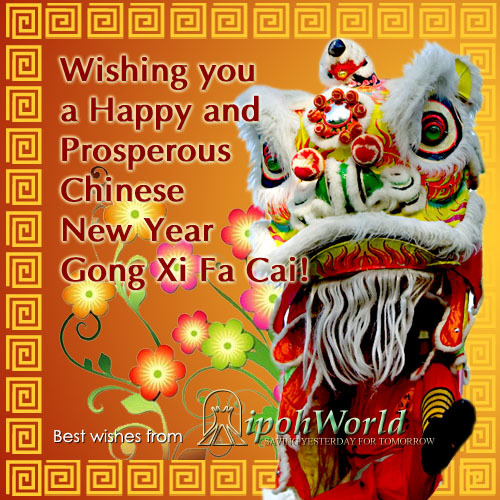 HAPPY CHINESE NEW YEAR to all fans of Ipoh World !!!! chatter box chinese bro’s and sis’s HAPPY NEW YEAR..
Gong Xi Fa Cai to you too, Antiquelad! And a Happy New Year to all, wherever you may be. Gong xi fa cai and wish all of you good health, prosperity, longevity & happiness in this roaring year of the tiger 2010. Drink more tiger beer, eat more tiger biscuits, rub more tiger balm but play like tiger woods! Gong Xi Fa Cai!